Not the greatest looking Tarte Tatin, my nerve went on the caramel and I didn't let it cook for long enough to colour up properly. It might not have had the full colour but it did have the sticky, sweet toffee apple taste. 1. Peel, core and halve the apples. Don't worry if they turn brown , it won't show in the finished tart. 2. Put the sugar in the base of the tin with 50ml water, then melt the sugar slowly over a low heat, stirring. 3. Once the sugar has melted, turn up the heat and bubble for 5 minutes or so to give a golden caramel. You are looking for a rich reddy brown, but be careful it doesn't burn. 4. Take the caramel off the heat immediately and stir in the butter which will foam up. 5. 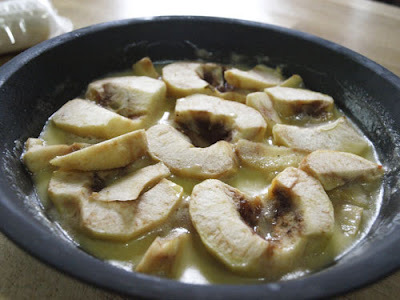 Arrange the apple halves on top, cut side up, so they fill the pan, slice any left over apple pieces and fill in the gaps. 6. Put the pan back on a gentle heat and cook for 5 more minutes. Turn off the heat and let the apples cool completely. 7. Heat the oven to 200C/Gas 7. Roll out the pastry, then lay over the cooled apples in the pan. 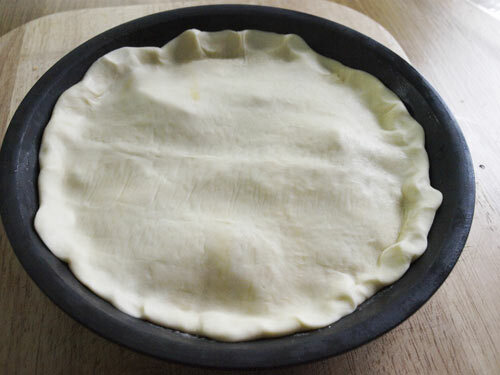 Trim the pastry using the edge of the pan as a guide, then tuck it inside the edge around the apple, making sure they don't move. 8. Bake for 30 minutes until dark golden and puffed. Remove from the oven, stand for 5 minutes, then carefully turn the tart onto a serving plate. 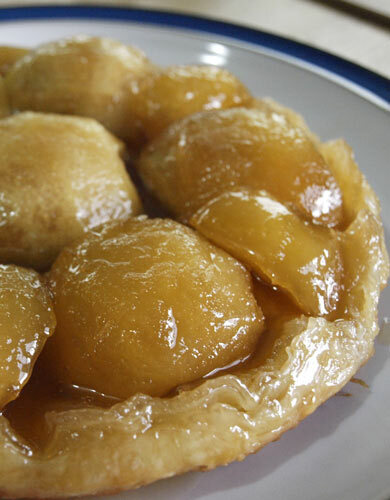 I'll definitely be making another Tarte Tatin and try to get that dark mahogany coloured caramel. The tin would also be excellent for other pies, whether upside down or right way up! 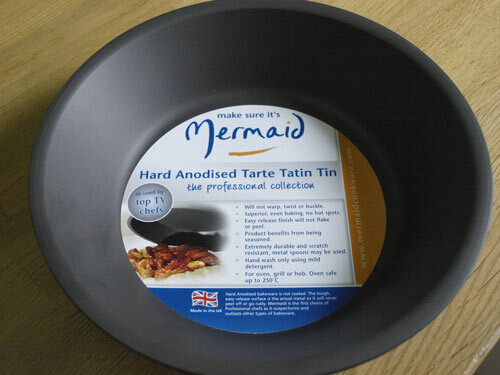 Many thanks to Ria, Sarah and Emma for sending me the bakeware to review, although I was supplied with the Tarte Tatin tin to review, all opinions expressed are my own. 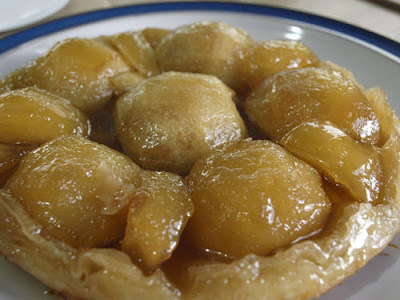 Tarte Tatin is so lovely! I tried it already several times. I love the look of those apples - the entire dish looks scrummy! It looks great, I would be happy to tuck into that one. With custard, mmmmmmm! This post inspired me to make tarte tatin last night. It was a big hit with the family. Delighted to hear that Sam, have you posted it on your blog or FB page?